Fans can get a taste of what a real-life Hyrule would be like starting early next year, when an official Legend of Zelda-themed escape room will tour the US. Nintendo announced on Twitter that it's partnering with an escape room company called SCRAP to produce a room based on the Zelda series that will let attendees use their wits to fight Ganon and reclaim the Triforce. If you're not familiar with the escape room phenomenon, here's the deal: players (often in teams, though some venues allow for solo play) are sealed into a room, and they have to decipher a series of clues and solve puzzles in order to reach their objective and escape within a given time limit. Rooms are typically themed, and the objective lines up with that theme. So for example, you might be locked into a room resembling an illegal gambling operation, with the goal of stealing money from the safe. In the Zelda room's case, players will be divided into teams of six. Each team will have a table around which to confer and take notes, but the room will be full of Zelda props and decorations (hopefully nothing too expensive, because I get the feeling that players are going to want to smash some pots). The play area will be much larger than your typical escape room, and players will progress from area to area much like in the games. 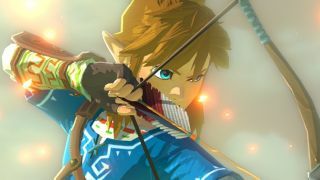 There's no specific Zelda series knowledge players need to possess, as clues will be of a nature that even a non-fan could complete them. There will also be an area set aside for players to watch Zelda trailers and buy special merchandise after they've gone through the room - whether they escape or not. For a full list of available times, check the SCRAP website.